Black Fire Pass to dodatek w całości skoncentrowany na krasnoludach. Prezentuje nowe kariery, rodzaje magii oraz komplet informacji dotyczących tytułowej przełęczy. 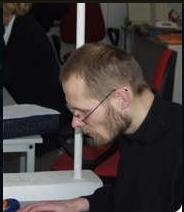 Ponadto, w dodatku znajdziecie nową przygodę. Black Fire Pass has seen the best of us and it has seen the worst as well. Its history is written in the blood of our people, and though it makes us rich I still hold that we have paid a heavy price for our proximity to that bleak and terrible place. − Ludwig von Hoss, A History of the Province of Averland, Volume XIX. The alliance between dwarfs and men has lasted since the time of Sigmar, forged in blood at the Battle of Black Fire Pass. A disturbing place of sharp black glass and noxious mists, Black Fire Pass has been fraught with peril and opportunity throughout the long history of the Empire. Trade caravans and invading armies alike must pass through its narrow confines to cross the Black Mountains, making this storied site of utmost importance to dwarfs and men alike. What dangers and riches does it hold for you? 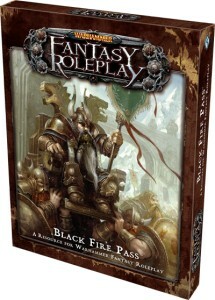 Black Fire Pass, a supplement for Warhammer Fantasy Roleplay, presents a wealth of new information concerning dwarfs, the hold of Karak Azgaraz, and Black Fire Pass itself. The Book of Grudges features rules for runesmithing, dwarf engineering, ten brand-new dwarf careers, and much more; a must-have addition for fans of these stout and stoic warriors. Also included in the box are details on the history and geography of Black Fire Pass itself, with adventure and episode ideas for GMs and a complete adventure set within the its dangerous confines. When friend becomes foe, thunder will reign in the mountains.